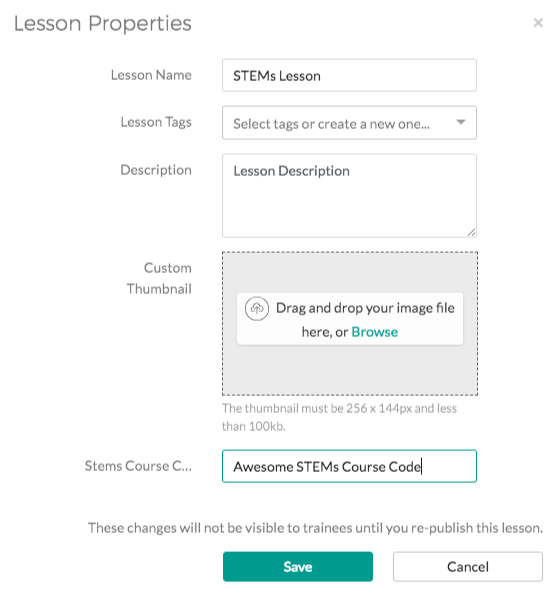 By default, we give a Velpic ID to your lesson in STEMs, but you can now create a custom course code by using the Lesson Custom Field feature (available only on Ultimate plans). Open up the custom fields page in the Admin tab. Create or open a draft for the lesson you wish to add a course code to. Once this is done, when a course is scheduled to a trainee, it will be automatically added to STEMS under the course code.